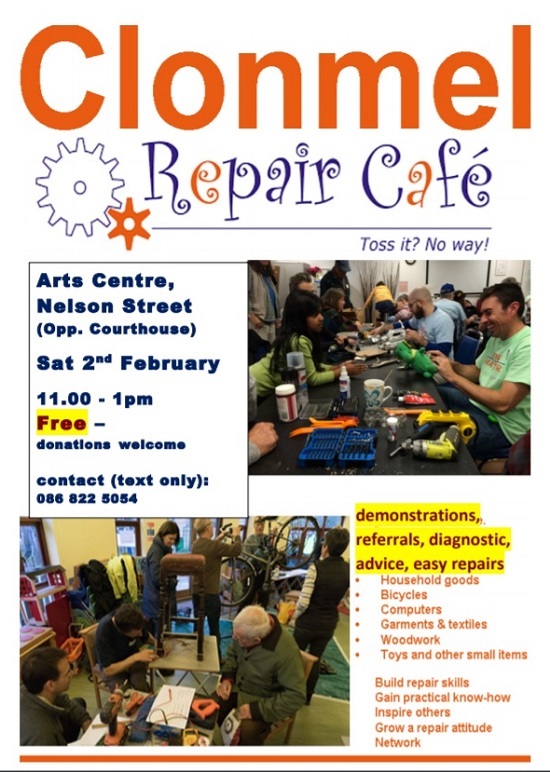 Clonmel Repair Café, Arts Centre, Nelson Street, Clonmel between 11.00am – 1.00pm. Demonstrations, referrals, diagnostic, advice, easy repairs. Come along and join us with a healthy mix of laughter and head scratching as we attempt to fix your broken, torn, worn things! last time we fixed a deck seat, a guitar box and a few coats… try us!